These site-specific designs are based on creative concepts for the best possible uses for an area. 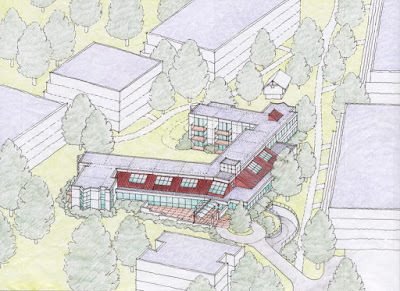 DIAP's master plans are flexible, offering various options as the development process unfolds. It's transit-oriented plans optimize circulation and is designed for the human scale even over large areas. DIAP's designs have resulted in vibrant neighborhoods that have stood the test of time over decades and continue to be strong economic and cultural centers. Minutes from the San Jose Airport, the Silicon Valley International Center has immediate connections to the world and offers a conference center, hotel, office space, condominiums, retail space, and recreational facilities. 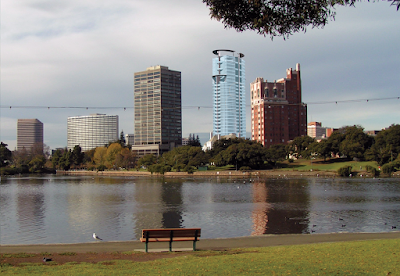 An elliptical residential high-rise building along a transportation corridor, Lake Merritt Tower has a striking presence over the lake. With a slim profile towards the San Francisco Bay, the tower avoids obscuring views. 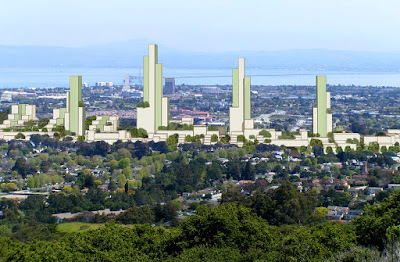 Lake Merritt Tower includes ground level retail space and an underground garage. A multi-story retail center in the upscale Buckhead neighborhood of Atlanta, across from Phipps Plaza. 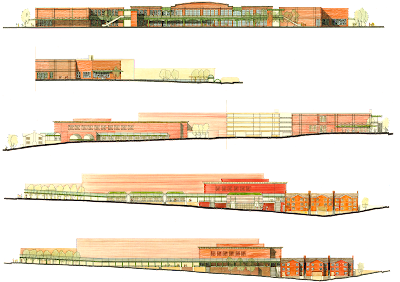 Lenox Marketplace takes advantage of a transportation hub and builds on the economic synergy of the surrounding area. 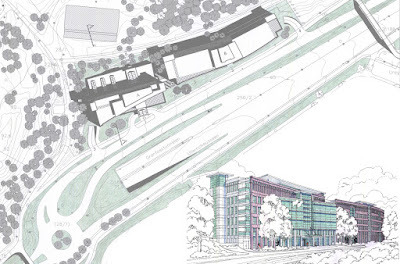 Situated on a site overlooking Oslo Fjord, this proposal for the corporate headquarters of a development and construction company takes full advantage of its site and provides ample working spaces. A 21st-century mixed-use center developed around a transit corridor to help make San Mateo City and County a destination point inside the northern half of Silicon Valley. The plan offers 12 acres of natural park and a pleasant pedestrian environment. 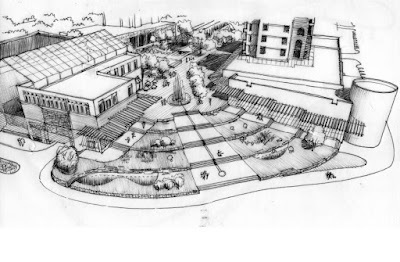 A unique and visionary redevelopment proposal that brings together the synergy of community services, --the Walker Library, YWCA, and a new medical clinic-- and ties them together with new commercial development at Uptown's transit nexus. 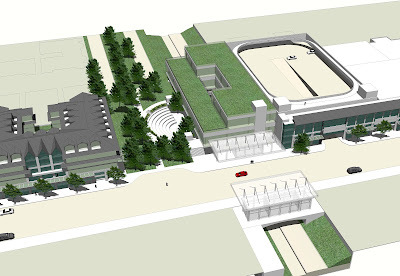 Mixed-use housing, retail, lifestyle, office, hotel and parking garages combine to provide a green sustainable community gathering place with over sixty percent of the site being raw green land. This year-round resort includes a hotel, condos, a conference center, spa, water park, brewery, fitness center, retail stores, and other services. 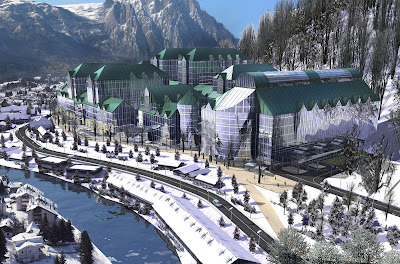 Prahova Valley Resort will revive a sleepy town and provide a wide range of natural and cultural attractions.